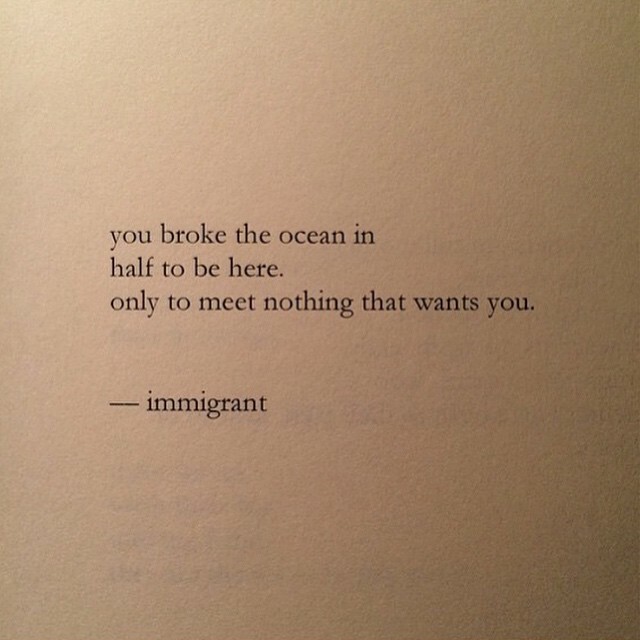 I think this is a powerful quote from poet and artist Nayyrihah Waheed completely validates my immigrant experience. We often speak about the contributions of immigrants to the U.S. but not enough is said about how we actually get treated once we have sacrificed everything to be here. It almost makes the sacrifices not worth it. I personally don’t think it is a fair exchange, but others who have fled persecution in their home countries, and found sanctuary here, feel differently. What does this evoke for you? P.S. If you haven’t already, I highly recommend reading salt, milk and honey and anything else that Nayyrihah Waheed has put out in the world for us to heal.